The May 2017 release of SSDT Tabular introduces support for named expressions in Tabular 1400. The second part of the article “Building an Azure Analysis Services Model on Top of Azure Blob Storage” on the Analysis Services team blog takes advantage of this exciting capability to build streamlined table queries for the more than 1,000 source files in a 1-terabyte TPC-DS data set. The article also outlines and implements an incremental data loading strategy to keep the generated load against Azure Blob storage below throttling thresholds. The initial deployment of the data model on an Azure Analysis Services server with approximately 10 GB of source data finished in roughly 15 minutes. Subsequent load cycles will increase the data volume up to the maximum server capacity in Azure Analysis Services. 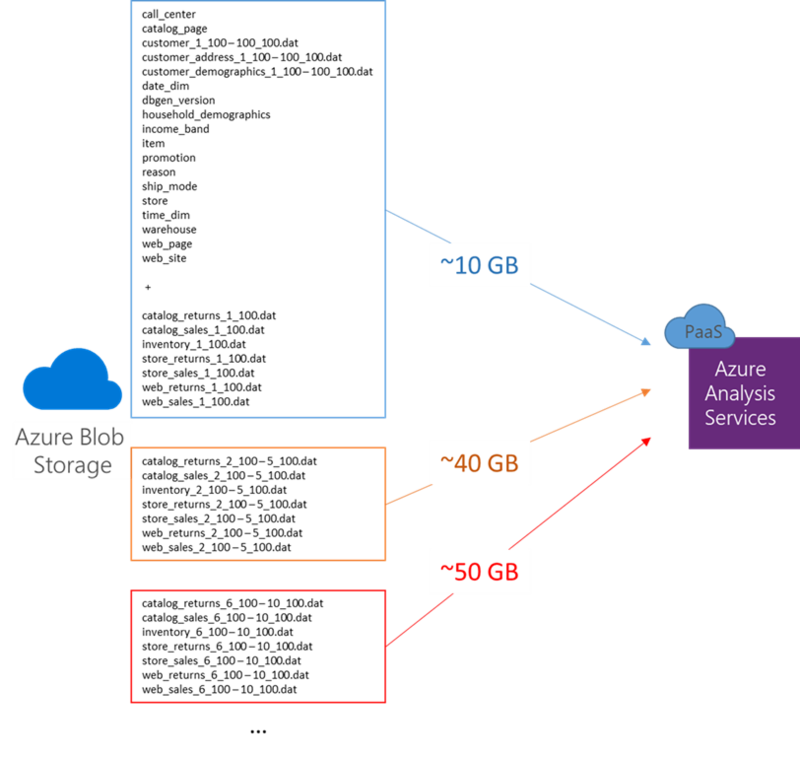 For more details, see the blog article “Building an Azure Analysis Services Model on Top of Azure Blob Storage – Part 2” on the Analysis Services team blog.